Many years ago in the late 1960's, a friend, ex-Wirral Movie Makers member and fellow "anorak"... Charlie Heywood made an amateur film entitled "From Steel Pins to Stereo". This film documented the development of sound reproduction from early music boxes to modern (at the time) stereo record players. This webpage expands upon Charlie's film to encompass some of these developments in greater detail and brings the story right up to date with the inclusion of MP3, FLAC recordings and Cloud-based downloads. There have been many forms of mechanical sound reproduction in the years leading up to the development of Thomas Alva Edison's "Phonograph" in 1877. The earliest forms recorded are mechanical bell ringers developed in the 14th century. In these machines, the bells were controlled by a rotating cylinder that rang the bells via pegs on the cylinder. 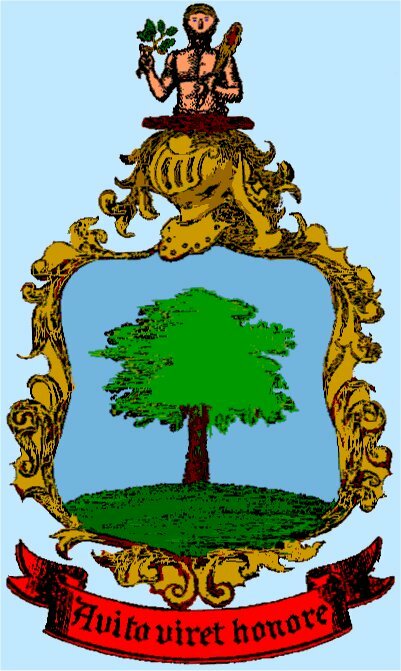 Similar designs appeared in the 15th century in the form of barrel organs and music boxes much later around 1815. These devices could play stored music on the musical instrument they were attached to but lacked the ability to record and reproduce natural sounds as heard at a live performance. 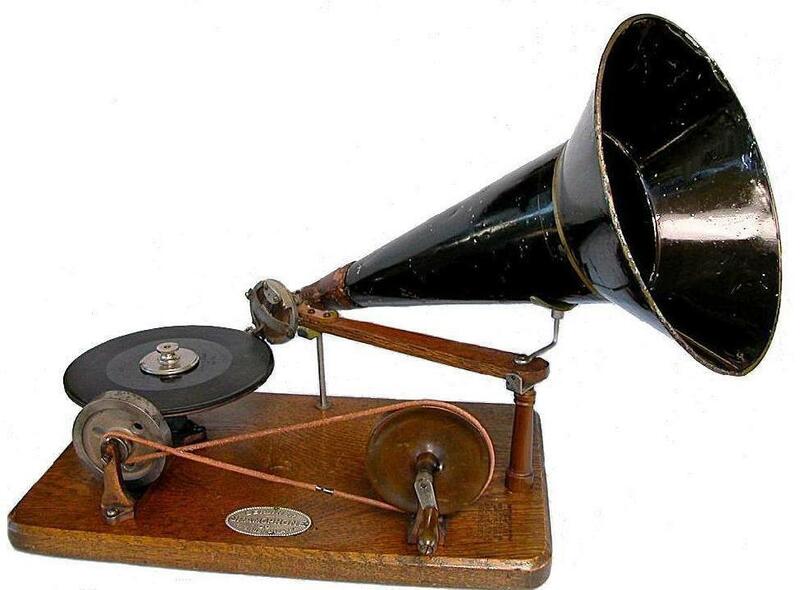 The first device that could record actual sounds mechanically but lacked the ability to replay recorded sounds was the Phonautograph, developed in 1857 by Edouard-Leon Scott. Initially, the Phonautograph made recordings onto a lamp-blackened glass plate but a later version used a medium of lamp-blackened paper on a drum or cylinder. Another version would draw a line representing the sound wave on a roll of paper. 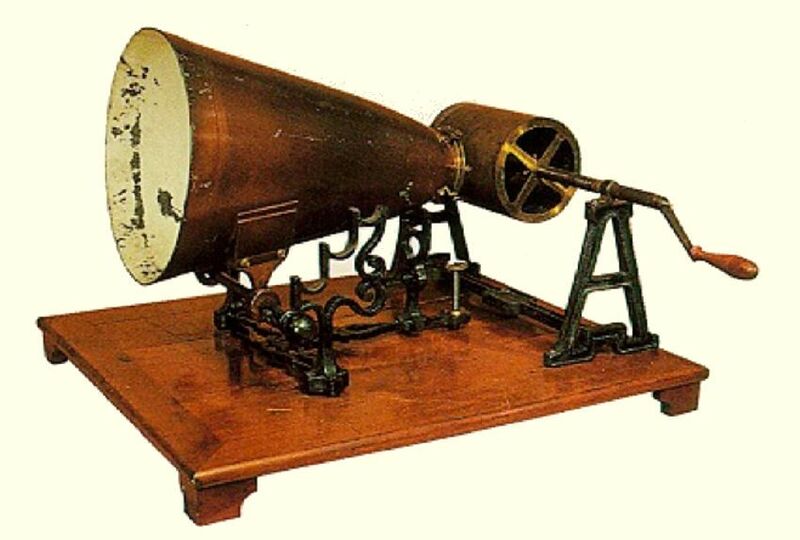 The Phonautograph was a laboratory instrument for the study of acoustics and was used to determine the frequency of a given musical pitch and to study the properties of sound and speech but, as previously mentioned, lacked the ability to play back these recordings. The player piano, first demonstrated in 1876, used a punched paper scroll that could store an arbitrarily long piece of music. This piano roll moved over a device known as the 'tracker bar', which first had 58 holes, was expanded to 65 and then was upgraded to 88 holes (generally, one for each piano key). When a perforation passed over the hole, the note sounded. Piano rolls were the first stored music medium that could be mass-produced, although the hardware to play them was much too expensive for personal use. Technology to record a live performance onto a piano roll was not developed until 1904. Piano rolls have been in continuous mass production since around 1898. The use of piano rolls began to decline in the 1920s although one type is still being made today. The fairground organ, developed in 1892, used a similar system of accordion-folded punched cardboard books. The first attempt at true sound recording and reproduction is credited to Thomas Alva Edison with his invention of the "Phonograph" in 1877. This instrument utilised a large horn as a crude form of microphone similar in concept to a megaphone. The sound waves from the subject to be recorded were "captured" by the horn and focused onto a metal diaphragm. The diaphragm was connected to a stylus (a replaceable steel pin) that traced a groove onto a wax cylinder rotated by a clockwork motor that also moved the stylus carriage along a guide. As the stylus moved and the cylinder rotated, the groove, modulated by the sound waves, spiralled across the outside face of the cylinder. 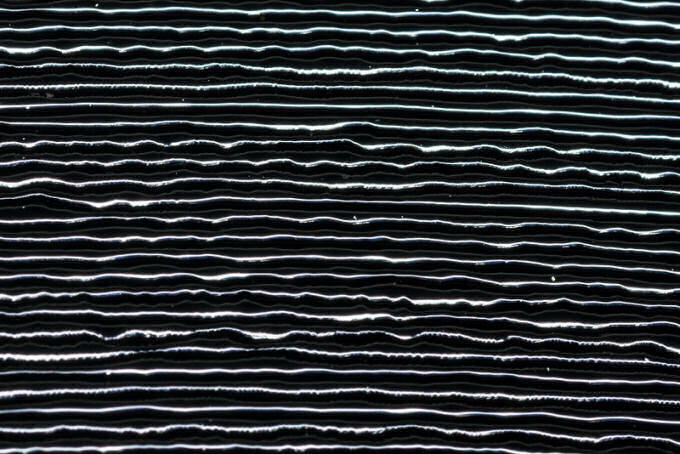 The walls of the resulting groove carried an analogue representation of the sound waves. When the recording was played back, the undulations in the groove were again traced by the stylus which vibrated the diaphragm. The resulting sound waves were amplified by the horn allowing them to be heard by the listener. Various sizes of cylinder were produced which increased the length of recording time available. As time went by, the system was improved upon and one type of cylinder, the Lioret, used celluloid instead of wax to produce a more permanent recording. Some recordings were also made to add a synchronised soundtrack to a motion picture film as early as 1913. These developments were, however, overshadowed by Emile Berliner's invention of the Gramophone Disc in 1890. 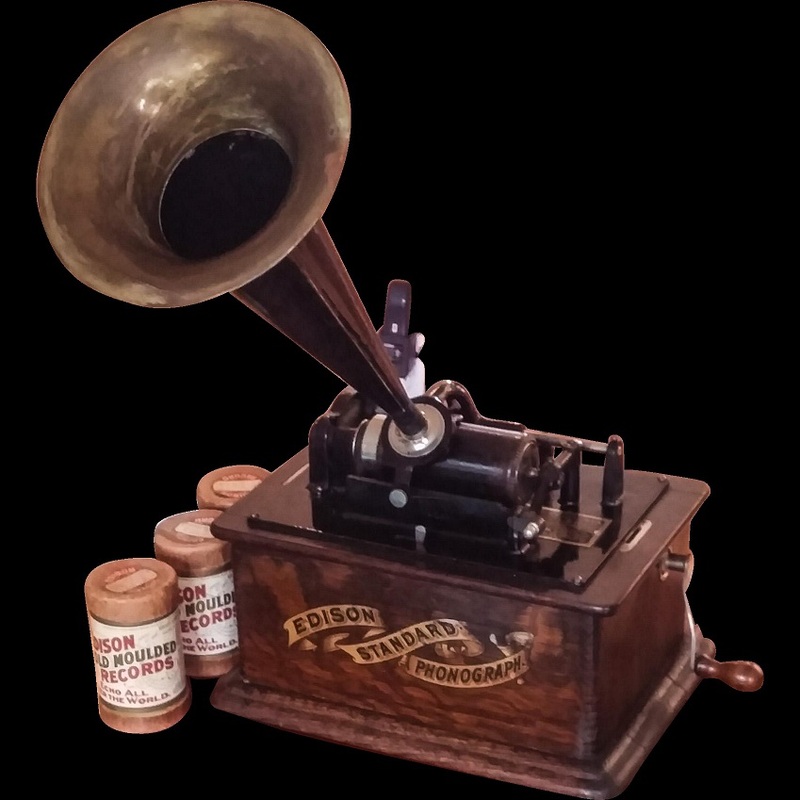 Similar in concept to the Cylinder but made from initially a 5 inch hard rubber disc and later in 1885 a 10 inch Shellac (an early form of brittle plastic similar to Bakelite) disc rotating at 78 rpm and was a playback only format. The recordings were made in a primitive recording studio where a turntable known as a Cutting Lathe produced a "Master Disc" from a special blank disc from which the Shellac discs or "records" were produced. 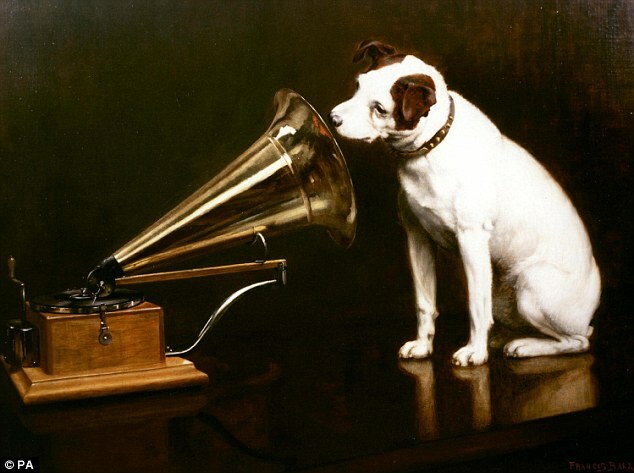 Later Victor Phonographs featured a trademark of a dog sitting on his master's coffin looking down the horn listening to a recording of his dead master's voice with the legend "His Master's Voice" printed below it. This was later to become the trademark of RCA Victor (RCA is the Radio Corporation of America), EMI (Electro-Mechanical Industries) and His Master's Voice or HMV brand in later years. Incidentally... the dog's name was Nipper! The invention of the "Thermionic Valve" in the 1920's opened up new possibilities for the reproduction of records, allowing a greater clarity of sound and more control over its reproduction. The original mechanical diaphragm vibrated by the stylus was replaced by coils of fine electrical wire moving inside a magnetic field to produce the electrical signal which was amplified by the valves which in turn fed a loudspeaker. Initially, loudspeakers possessed mains energized magnets but as technology advanced permanent magnets were utilised. Later developments used a pietzo crystal and miniature moving magnets to replace the relatively low output of the moving coil pick-up and produce a better sound quality. The steel pins or stylus that traced the groove was replaced by lighter and more durable industrial diamond styli. 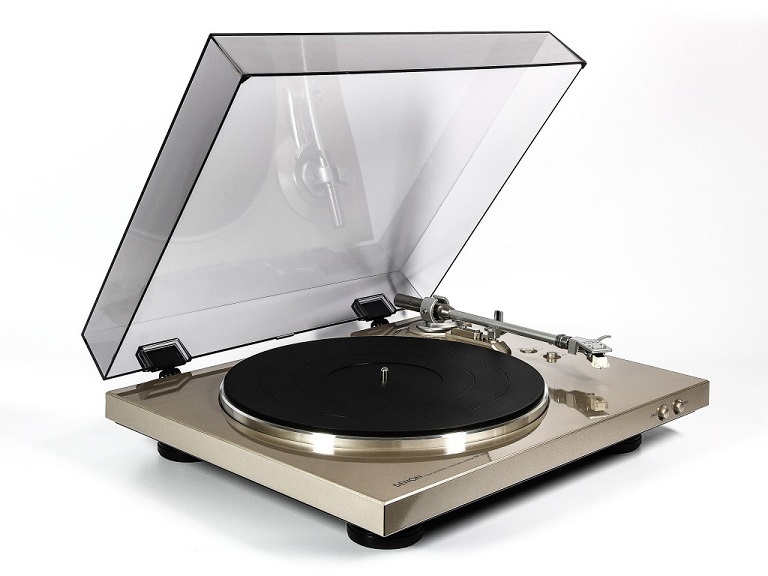 In more recent times high-end turntables and pick-ups reverted to the moving coil design which could be lighter in weight and therefore produce less wear on the records. But back to early turntables... electric motors were also introduced which eliminated the need to "wind up" the clockwork motor that powered the turntable and provided a more stable rotational speed producing less "wow" (low frequency speed deviation) although it did seem more prone to "flutter" (high frequency speed deviation). 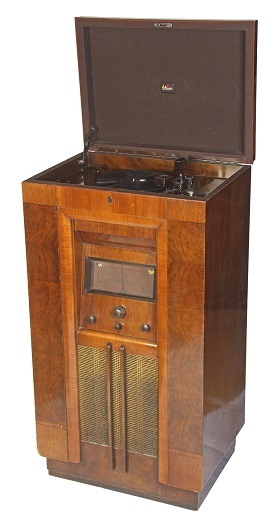 The first commercially available electrical record player went on sale early in 1925. Many manufacturers combined the electronics of a radio's amplifier to double-up as a record player. 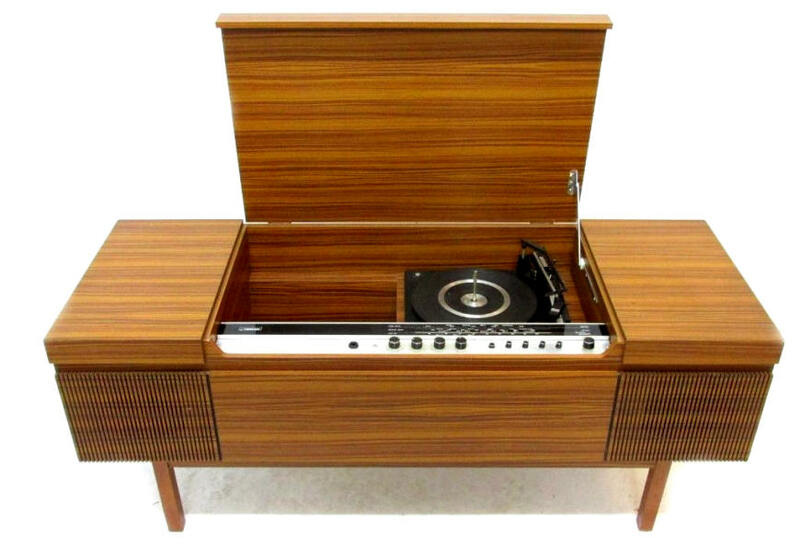 In doing so they created the "Radiogram". The platter on which the record was placed would be driven by an idler roller to acoustically isolate it from the vibrations caused by the motor. 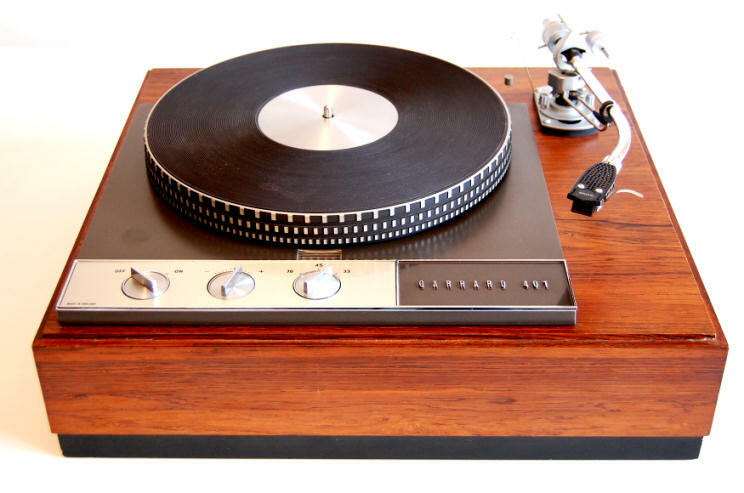 These were later replaced by rubber drive belts and more recently a low speed electric motor would be incorporated into the platter to produce what is known as the direct drive turntable. 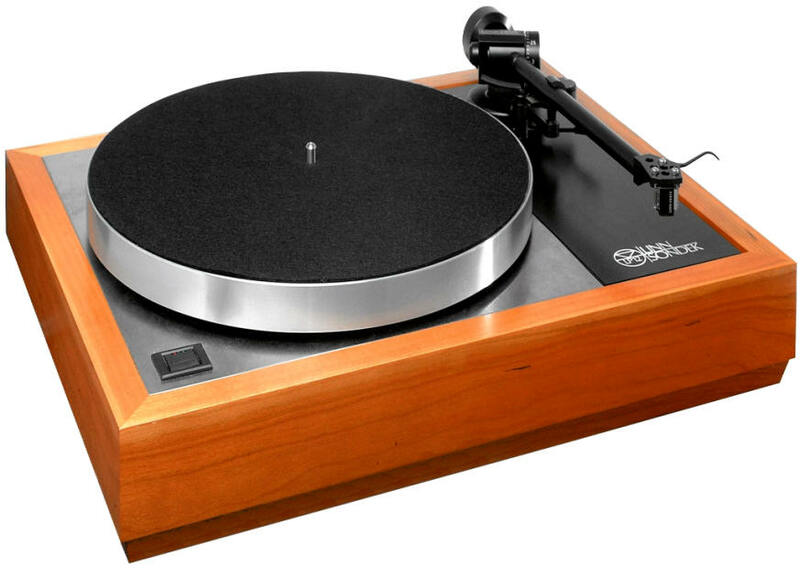 The first turntable of this type was the Strathern turntable of 1973. The 10 inch, 78 rpm format remained popular until the late 1950's when a more compact 7 inch disc rotating at 45 rpm was introduced. From this was developed a "Long Play" 12 inch disc rotating at 33 rpm and an "Extended Play" 7 inch disc with finer grooves rotating at the same speed. Limited edition 12 inch singles rotating at 45 rpm came next and proved very popular with disc jockeys in the "Discotheques" of the time. Even today, this format of disc is still in use. 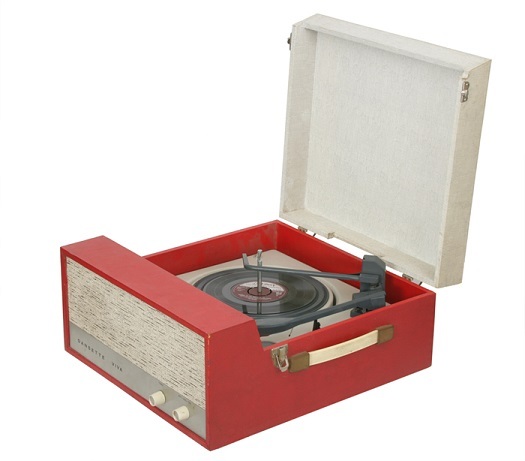 The popularity of records fuelled by popular music of the time lead to the development of budget record players and there wasn't a teenager's bedroom that didn't contain a "Dansette" or similar record player to reproduce the latest music from their favourite pop starts. Most of these record players possessed turntables made by Garrard and BSR that had the ability to play up to ten discs in their multi-changer designs so that the listener could listen to their own "play lists" without changing the record every three minutes or so. Not to be outdone by their children the adults had their radiograms featuring radios as well as record players. Many of these units possessed stereophonic reproduction, were called stereograms (more of which in later) and many were pieces of furniture in their own right. There was a requirement by many consumers to produce one's own recordings. With this in mind wire recorders were developed and enjoyed a brief spell of popularity in the late 1940's and early 1950's but they were heavy, bulky and the audio quality was not terribly good. They were initially developed in the USA by Brush and Webster-Chicago and were popular in offices as dictation machines and also in the home. 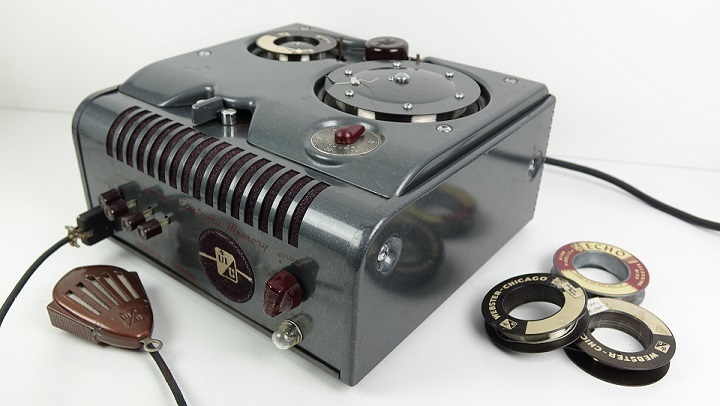 Wire recorders survived until the introduction of the tape recorder in the early 1950s when the steel wire was replaced by an ultra-thin tri-acetate tape (similar to motion picture film but thinner) coated in ferric oxide particles. It is the ferric oxide coating that contains the magnetic information that is read by the heads on the unit. Like wire recorders, tape recorders developed by the German manufacturer BASF (Baden Analine and Soda Factory) had been around for many years but the shortcomings of the wire and early tape recorders stimulated the American 3M company (Minnesota Mining and Manufacturing Company) to develop a format further into something that was more acceptable to recording studios, radio stations and various other establishments where high-quality audio recordings were required. 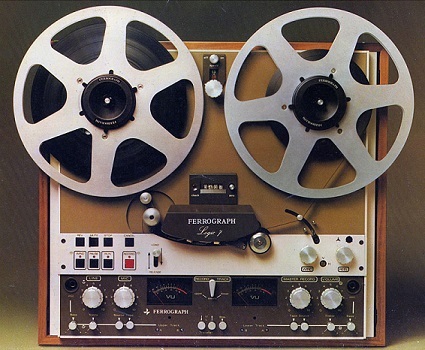 As the quality of recordings increased the running time of the tape was also increased by slowing down (or increasing if higher quality was required) the linear speed of the tape and also by adding two and four tracks which were selected by turning the tape over or by selector switches that would isolate various segments of the recording and play-back heads. Alongside this development was that of Stereophonic Sound by Alan Blumlein... an engineer at EMI. Stereophonic Sound or Stereo for short was a means of presenting the listener with a panoramic sound stage where they could place the individual artists and instruments. The magnetic tape format was ideal for stereo sound as the recordings from individual channels (left and right) could be recorded independently over the width of the tape. 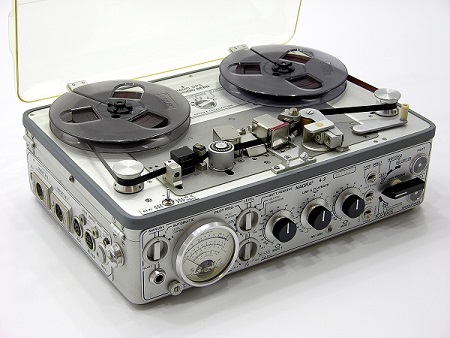 Portable and "transportable" machines were developed to allow recordings to be made in locations where mains electricity was not available and many manufacturers produced machines of this type including Nagra, Fi-cord, Uher, Grundig and Phillips. Some of these manufacturers still produce reel to reel tape recorders which are popular with radio stations due to their ease of editing. They are also popular in recording studios which may possess units that are capable of recording many individual channels. As time has progressed the analogue signals on the tape have been replaced by digital ones which along with the audio information records time codes for synchronizing with film and video motion picture cameras as well as for other uses. 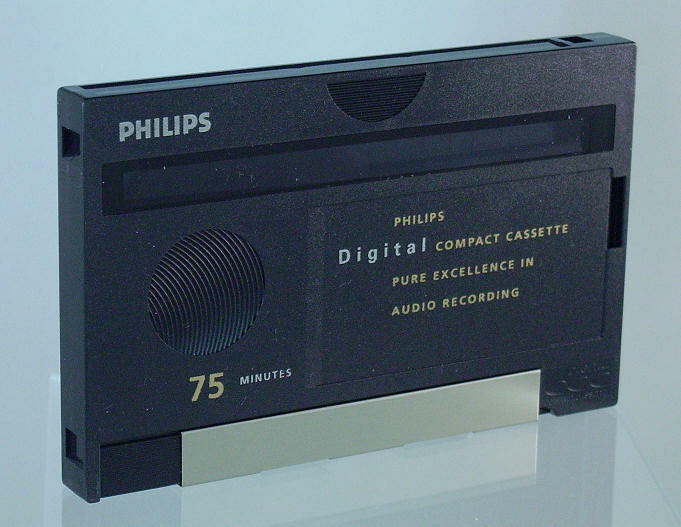 In the 1963 Dutch manufacturer Philips announced the Compact Cassette. 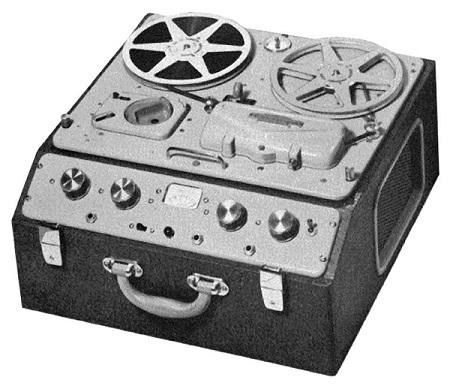 This was a scaled-down version of the reel to reel magnetic recording - half the width of the standard ¼ inch tape generallt used. 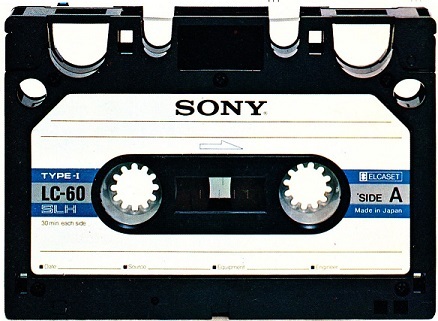 The tape was housed within a plastic cassette for ease of loading and handling. Initially, the quality of recordings rendered it only suitable for dictation and voice recordings but, as the format was developed further it was capable of reproducing a reasonable quality music recording. The cassette was available in various recording times of 60 minutes (30 minutes each side). 90 minutes (45 minutes each side and 120 minutes (60 minutes each side. There were other recoding times available but these were the most popular. To accommodate the various recording times in the same basic cassette shell the thickness of the tape was altered and the C120 cassettes were notorious for tangling up due to the action of static electricity on the thin base material. There were removable tabs on the rear edge of the cassette that prevented accidental erasure after a recording had been made. Recordings of many popular LPs were once available on pre-recorded Compact Cassettes and at one point albums were being released on vinyl, Compact Cassette and Compact Disc as well. Latterly, the cassettes were Dolby encoded... more of which later. One of the problems surrounding cassette tape reproduction was that of background hiss. In quiet sections of the recording this hiss could become quite noticeable. Philips developed a system known as DNL which stood for Dynamic Noise Limiting. When the audio signal dropped below a pre-set level a high-cut filter was applied which limited the upper frequency response so that the tape hiss was not as noticeable. In 1963 the American Lear Jet aircraft manufacturer developed the Eight Track Tape Cartridge. Originally meant for installation in the company's jet aircraft the system was soon recognised by the automobile industry as a convenient way for drivers to listen to pre-recorded music in their cars. The cartridge used standard quarter inch tape as used in reel to reel tape recorders which was in an endless loop. A movable playback head selected one of four musical tracks on the tape and a short length of conductive foil signalled the end of a track and the head moved automatically and in doing so selected the next track. The tracks could also be selected manually. The tape was lubricated by a graphite coating which allowed the tape to slide around itself to accommodate the continuous loop configuration. 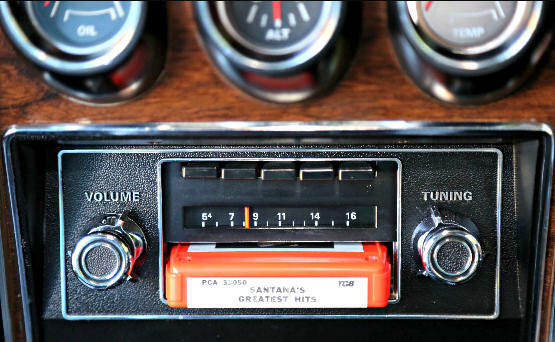 Many car manufacturers offered eight track cartridge players as a factory fitted option but by the 1970's it had been superseded due to the popularity of the Compact Cassette. 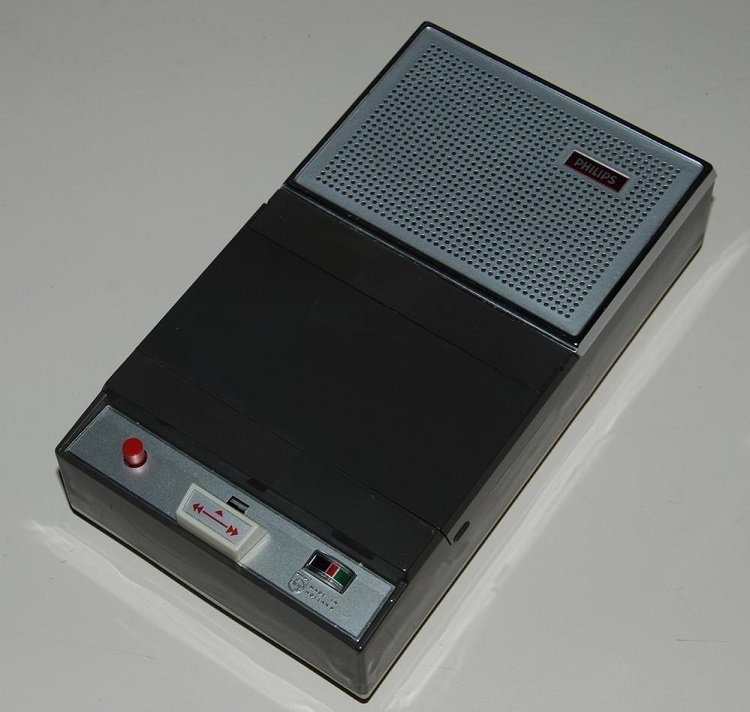 A few manufacturers produced domestic players which could be connected to a domestic hi-fi system. The system also found popularity in radio stations as a convenient way to play "jingles" and I am sure that some stations still use them to this day. 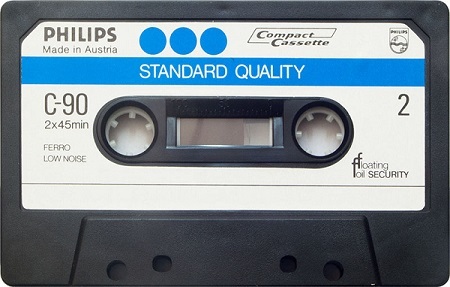 As with many sound systems there are always die-hards who claim that the Eight Track Cartridge is superior to the Compact Cassette regarding sound quality but laboratory measurements tell a different story and by the late 1980's production had ceased apart from a few niché recordings. The American Dolby Laboratories also developed a system known as Dolby Noise Reduction which gave the signal a treble bias on recording and then reinstated the signal to its original level on play-back. The system was refined over the years with the introduction of Dolby B, Dolby C and Dolby HX Pro. This system as well as advances in tape emulsion technology further enhanced the recording to provide a level of reproduction acceptable to Hi-fi enthusiasts. The German manufacturer BASF (mentioned previously) developed a chrome tape where chromium particles replaced the ferric oxide particles. This provided the ability to have an increased upper frequency response and a lover level of tape hiss but unfortunately required harder tape heads due to friction of the chromium particles wearing out the heads prematurely. A development of this was the Ferrochrome tape where there were dual layers within the tape emulsion. The upper later that came into contact with the head was the conventional ferric oxide coating with a chromium coating beneath in an attempt to alleviate the head wear problem. Sony introduced the Elcaset in 1976. This was quarter inch tape packaged in a large version of the Compact Cassette. The tape ran at twice the speed of an ordinary cassette and accordingly had a similar frequency response to reel to reel tapes but in a more "domesticated" format. The Elcaset was short-lived as advances in tape coating technology overshadowed the benefits (and price) of the Elcaset. 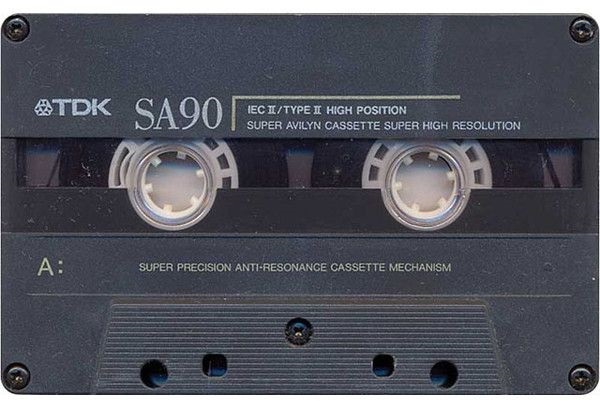 Japanese manufacturer TDK experimented with doping the ferric particles with cobalt and when their experiments were successful they launched the cassettes under the name "Super Avilyn". These tapes were a revelation and were further developed into a multi-layer emulsion where the "skin effect" where higher frequencies were reproduced on the upper layers and lower frequencies on the lower layers. This was marketed as TDK SA-X and is still popular with cassette tape enthusiasts. The next development was that of "metal" tapes. These used metal alloy particles which were less susceptible to being overloaded by transients in music then ferric oxide cassettes were. These different types of cassettes were identified by notches on the rear edge of the cassette shell. There were additional "tabs" on the rear edge of the cassette shell to allow or prevent recording. Sony introduced a range of personal stereo cassette players in 1979. 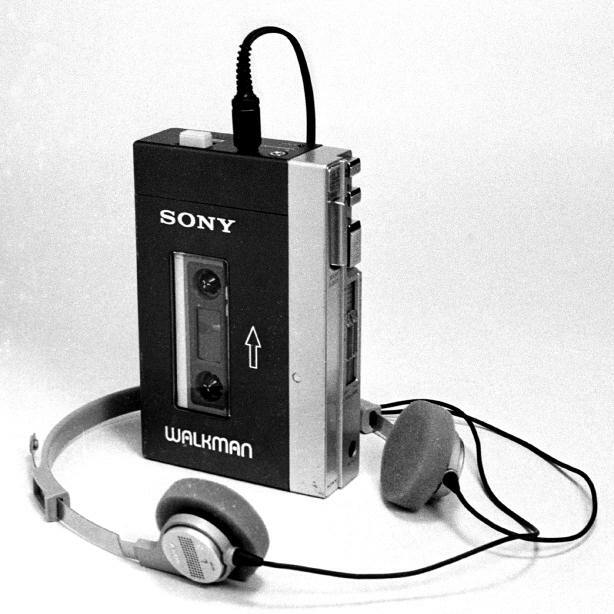 Known as the "Walkman" these small, battery operated units did not possess loudspeakers but reproduced the recordings through headphones making them very appealing to the younger generation. As time went by these popular units incorporated features such as auto-reverse (negating the need to turn the cassette over) Dolby noise reduction, FM radios and some even had recording capabilities. As the years progressed and digital sound reproduction was developed, the Digital Compact Cassette or DCC (more of which later on) seemed a natural progression from the analogue Compact Cassette. Unfortunately the advent of recordable and re-recordable Compact Discs rendered moving tape formats obsolete although it is still used for certain applications. As time went on the quality of the sound reproduced by domestic record players increased to produce crystal-clear high notes, distinct vocals and rich bass. The quality of commercially available recordings was limited due to to various criteria such as surface noise, scratches, etc. The replacement of shellac discs with vinyl discs plus the development of low mass tone arms and pick-up heads went a long way to removing surface noise. These increases in quality paved the way for the introduction or stereo sound. This is where it is possible to place a sound stage in front of the listener who is able to place where a particular sound (or vocalist/musical instrument) is located. In cinemas a system known as "switch stereo" was widely used. This was where a monaural signal was "panned" maually from one side of the screen to the other to place aurally the location of an actor or other sound source by a technician using a balance control. One of the first manufacturers to develop high quality recordings was Decca when they introduced FFSS. That is... Full Frequency Stereo Sound. But it wasn't just turntables that were improved upon to take advantage of the higher quality recordings. Next in line are amplifiers. Even today valve amplifiers are still produced for high-end hi-fi systems but the majority of amplifier developments took place after the invention of the transistor, the development of which came to fruition in the early 1950's. Up until that point most amplifiers relied on thermionic valves for their output stages (usually KT88s or similar valves) although transistors were widely used in the pre-amplifier stages. The industry standard was the Quad 22/11 pre/power amplifier combination and even today these units are held in high regard by audiophiles (hi-fi enthusiasts). One of the first integrated solid-state (posh terminology for all transistorised) amplifiers was the Sinclair X-10 but other manufacturers such as Leak who, like Quad, were renowned valve amplifier manufacturers, developed their own range of amplifiers such as the Stereo 30 and 70 range which included a matching stereo radio tuner - the Stereofetic FM tuner. 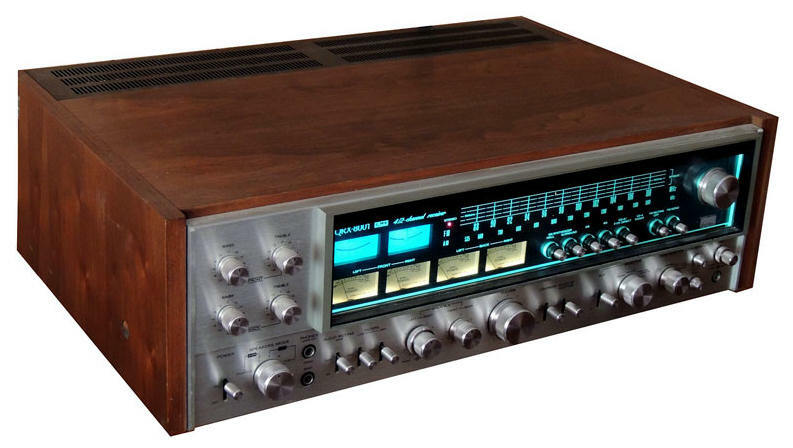 In the meantime, the Japanese were making inroads with manufacturers such as Trio, Sansui and Marantz introducing amplifiers that possessed a performance approaching that of home-grown equipment. But some thought that the imports couldn't hold a candle to that of manufacturers such as Quad who introduced a new range of transistorised amplifiers in the shape of the 33/303 and more recently the 44/405 ranges which, like their predecessors included a matching FM tuner. The Quad amplifiers featured a novel design of tone control which altered the "tilt" and "slope" of the signal prior to being amplified. The power amplifiers were ideally suited to Quad's revolutionary electrostatic loudspeakers, more of which later. 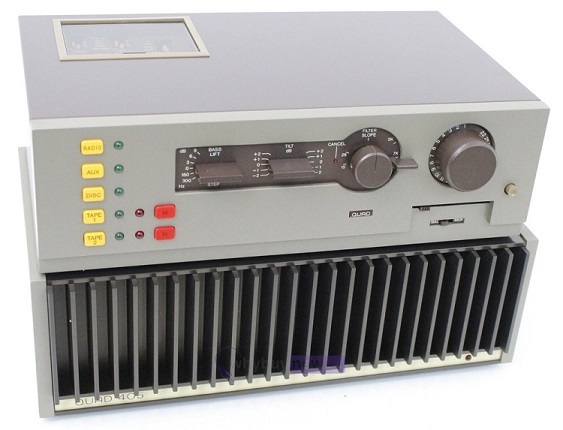 Over the years various features and developments enhanced the performance of hi-fi amplifiers both from frequency response and lack of distortion to power output. Today's amplifiers possess a performance and features that could only be dreamt about a few years ago. These features include remote control, multiple speaker outputs including various surround sound formats, flexible equalisation, in-built moving coil pre-amplifiers, flexible inputs and even video selection via HDMI to name but a few. Loudspeaker technology has remained fairly static with little development and the same basic principals of a paper cone with a voice coil and magnet standing the test of time. Any developments concentrated on increasing the frequency response of the units by having individual drive units for specific frequency bands. 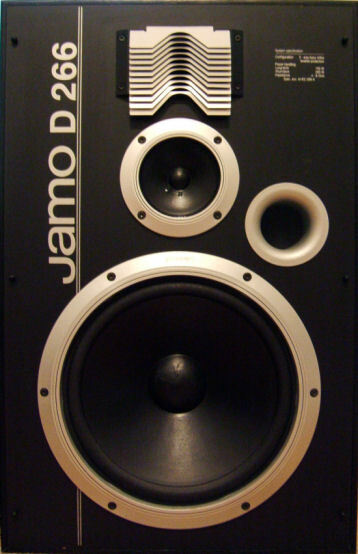 For example - a 25mm (1 inch) "tweeter" for high frequencies such as symbols, a 75mm (3 inch) "squawker" for mid-range frequencies such as vocals and a 300mm (12 inch) "woofer" for reproducing bass frequencies such as drums. The signal to each drive unit would pass through a passive cross-over circuit which would ensure that only frequencies that the drive unit was designed to handle reached it, so reducing distortion. Other development concentrated upon producing a good frequency response from smaller enclosures. This included using "infinite baffle", "tuned labyrinth" and reflex designs. Sometimes smaller multiple drive units are used to mimic the air-moving properties of larger drive units. In 1980 I won a prize at a hi-fi show to visit the Wharfedale loudspeaker factory located at Idle near Bradford in West Yorkshire. I was shown around the factory to see how these beautiful loudspeakers were made as well as being given demonstrations of their latest models. One of the highlights of the tour was to see how they tested the acoustic properties of their loudspeakers. 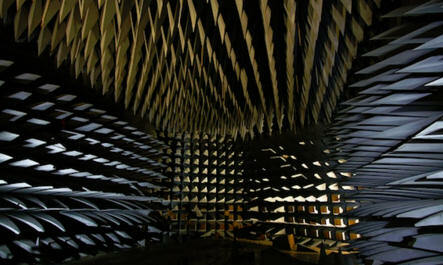 This involved going into their anechoic chamber. This is a room where the walls, ceiling and floor are covered in felt covered pyramids to absorb unwanted sound and minimise sound reflections. I was told to stand on a raised walkway in the centre of the chamber and the lights were turned off. This is one of the most uncanny sensations I have ever experienced. Devoid of all sensory input with the exception of feeling of the floor beneath my feet one has the impression of floating in space. After a short period of time the lights were turned back on and I was given a demonstration of one of their loudspeakers in "perfect" listening conditions. It sounded totally different to how it would sound in a domestic environment but it gave in insight into how their products were developed. A good example of a small studio reference monitor loudspeaker is the LS3/5A designed by the BBC. 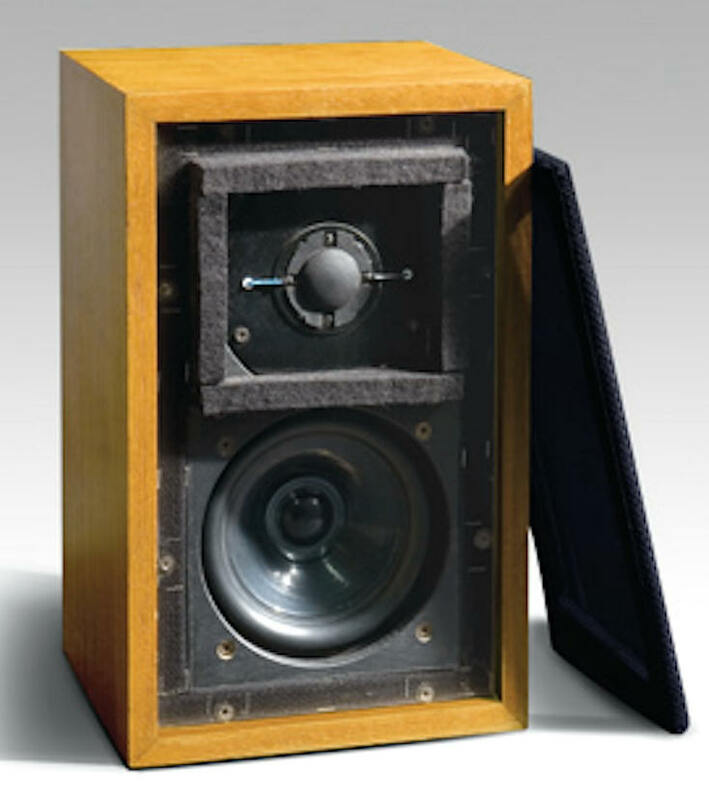 This small enclosure measuring 31cms tall with a volume of 5 ltrs used a 19mm dome tweeter and a 110mm bass drive unit made by Kef in a small enclosure with strict design criteria such as the type of timber used in construction, the acoustic dampening material, drive units, cross-over filter and even the type of brass screws. Since its launch in 1973 it has been manufactured by many companies including Rogers, Spender, Audiomaster, Goodmans, Kef, Chartwell and Stirling. 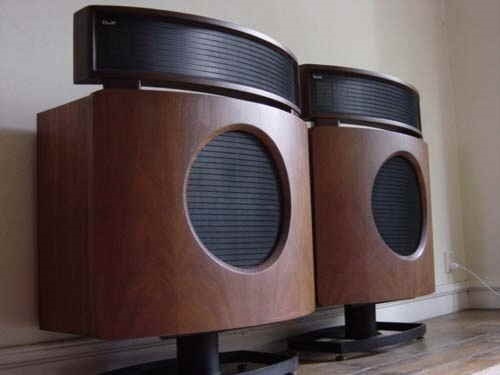 After nearly 100,00 pairs being made it is still in production today by Falcon Acoustics in a "Version 2" using Harbeth drive units although there have been a few modifications due to the original drive units being discontinued. More often than not manufacturers discovered that there was no substitute for size as is demonstrated by the beautiful Tannoy Westminster designs. 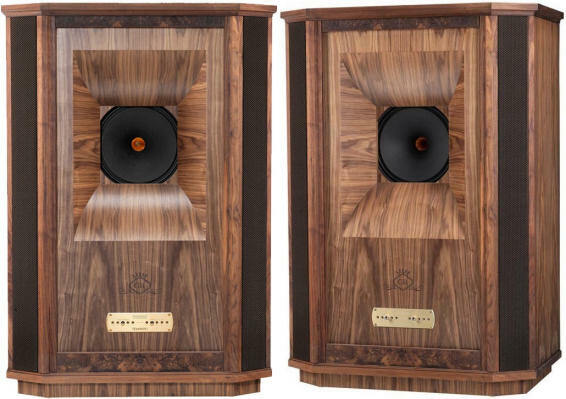 These unique loudspeakers have a tweeter that is concentric within the fifteen inch bass unit. The cabinets have a capacity of 530 litres (over 10 times that of the LS3/5A above) and are 1·3 metres tall weighing in at 138 kg. When being delivered to a customer they arrive on one of the wagons that have their own fork lift truck hung on the back! With a current (2019) price tag of £35000 one would hope that the delivery charge is included. Later, manufacturers would produce small enclosures to handle high and mid-range frequencies with a separate bass unit known as a sub-woofer to handle the lower frequencies. The latter units could be positioned away from the stereo "sound stage" due to their non-directional properties and the separate high-mid range units can be small and light enough to be inconspicuously wall mounted. An unusual development in loudspeaker design is the electrostatic drive unit. This relies on an electrically conductive membrane sandwiched between two grids charged with several thousand volts. Between these electrically charged grids and the central membrane are air gaps which allow for the vibration of the membrane When the audio signal is applied to the membrane it vibrates and the resulting vibrations pass through the grids to produce sound. The most popular make of electrostatic speaker is Quad although several other manufacturers produce them as well. 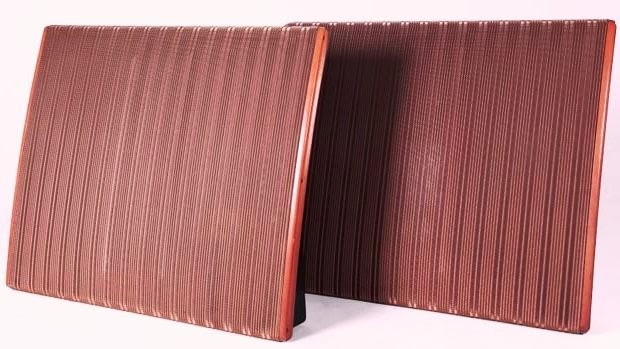 One draw-back of the electrostatic speaker is that it does not reproduce bass frequencies very well and many units will be accompanied by a separate bass unit or sub-woofer for this purpose. I can remember going to a hi-fi fair many years ago when Bowers and Wilkins were demonstrating their hybrid units (electrostatic hi/mid range and conventional bass drive units combined) with the grills removed from the electrostatic drive units. The loudspeakers were in a roped-off area so that nobody could be electrocuted by touching the electrostatic elements. The signal source was a Ferrograph Logic Seven stereo reel to reel tape recorder running at fifteen inches per second with the signal being fed to a Quad 45/405 amplifier set-up. The music being played was a high-quality recording of the finale from Beethoven's 18-12 Symphony and just before the canon were fired the lights in the room were dimmed. When the canon fired sparks could be seen flying across the electrostatic elements. This combined with the tremendous bass from the large bass units impressed everyone in the room... but you wouldn't want them in your house unless it was a detached property with no worries about disturbing neighbours! Even though the hi-fi turntable has now been superseded in some ways by the Compact Disc it has not escaped development. Originally the platter was coupled to the motor via idler wheels or flexible drive belts but, as previously mentioned, ultra-accurate direct drive motors which form part of the platter are now the norm and to further reduce interference many turntables possess a separate power supply to further isolate the turntable from possible sources of hum, interference, etc. and guarantee a "clean" power supply to the turntable's motor. 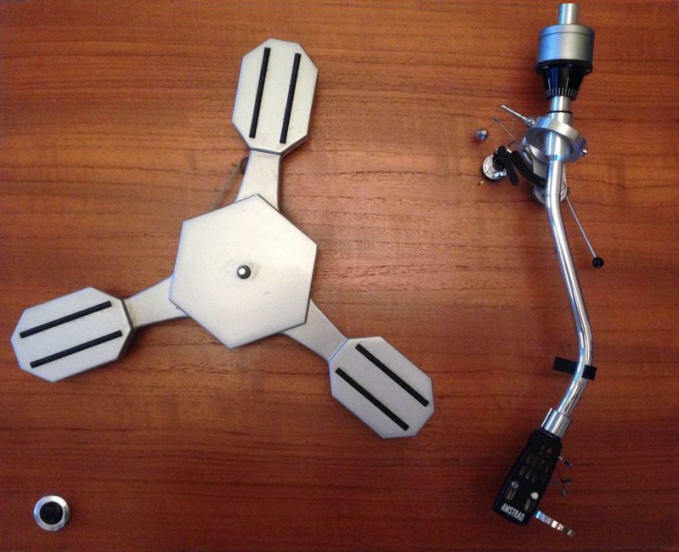 The tone arm can now be manufactured in low-mass carbon fibre which will allow the cartridge's stylus to track the record groove with greater accuracy and less wear. The next development came in 1978 with the introduction of a smaller 5 inch plastic disc rotating at 50 rpm and encoded with digital information to produce a near faultless representation of the original sound source. This was originally developed by Philips in Germany. The CD was not the first digital recording medium, in 1972 Denon produced the DN-023R reel to reel digital tape recorder for the professional market. 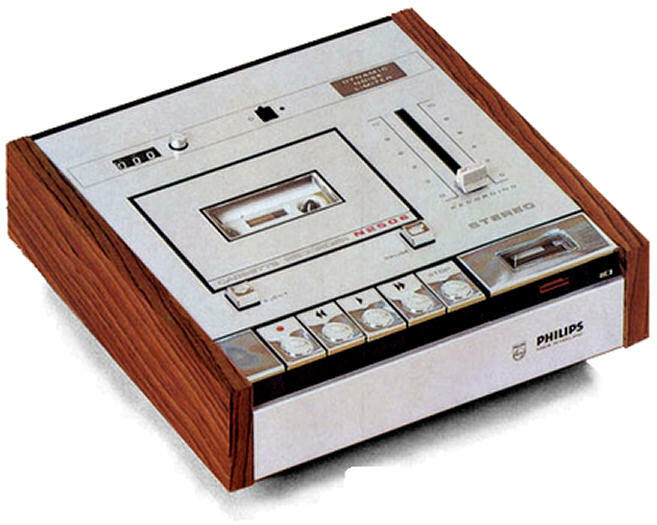 In 1980, Sony of Japan joined Philips to perfect a commercially viable format that was to become known as the "Compact Disc". It was launched in Japan in 1982 and eventually launched in Europe in 1983. The sound signal was "sampled" 4·43 million times a second, converted into a digital signal which was then transferred to the disc where it was represented as "pits" and "troughs" on a protected part of the disc and was "read" from the centre outwards by a low powered laser. The resulting output from the laser was converted back from a 16 bit digital signal into an analogue one capable of being fed into hi-fi amplifiers and hence, driving the loudspeakers. A few high-end CD players had experimental 20 bit digital to analogue converters that reproduced the small number of 20 bit CDs that were available as well as enhancing conventional 16 bit recordings. Such is the versatility of the Compact Disc or CD as it has become known, it can be used to store not only audio programs but also video image as well as still photographs, computer programs and computer files. Initially, the CD was a read-only format but there is an increasing interest and popularity in recordable CD's. The information recorded can be in the form of computer files and programs or music. There are two types of recordable CD. 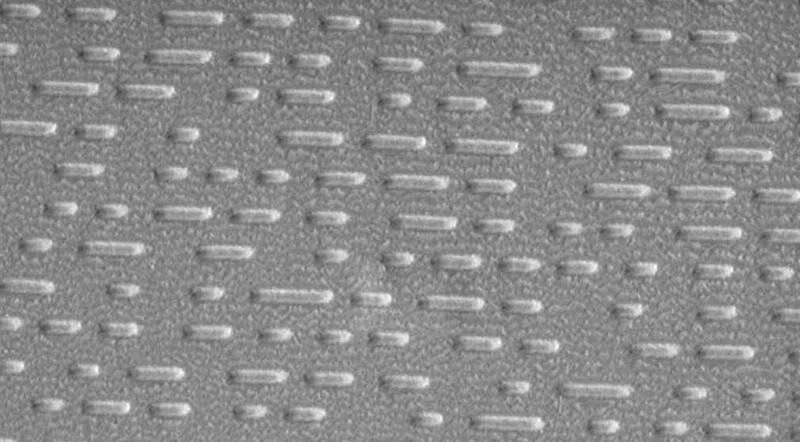 "CDR" (CD Recordable), where a laser heats up the substrate layer on the blank disc to produce bubbles that can deflect the playback laser's beam in the same way that the troughs do on a pre-recorded disc. Once recorded, the disc can not be re-recorded or re-written. 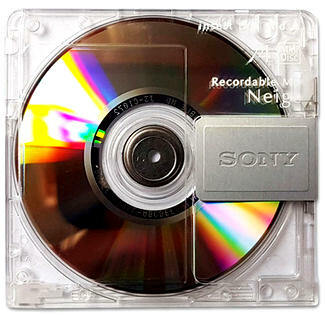 The second type of recordable CD is the "CDRW" (CD Re-Writable). The principle is similar to that of CDR but the substrate coating has a coloured dye that is changed in hue by the laser when writing. For re-recording, the dye layer is changed again to match the new recording. 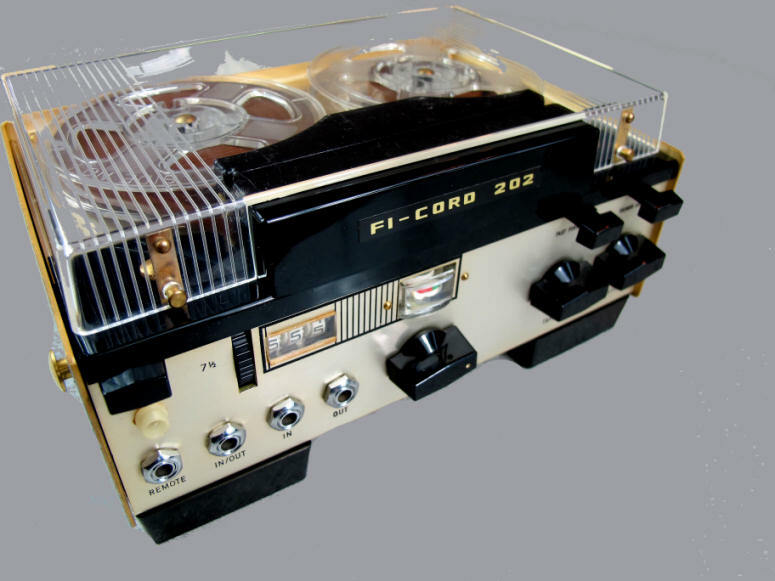 At first CD recorders were only available as an addition to a home computer, but manufacturers were soon producing "stand alone" units that connected to a Hi-Fi system. CDR has a better archival permanence (approx. 100 years) compared to the CDRW (about 25 years). The CDR is better suited for recording files that are intended to be stored for a long time (such as image or computer files). This is due to the coloured dye in CDRW possibly being affected by prolonged exposure to light and extremes of temperature. Also, many CD players are not suitable for the playback of CDR and even fewer can accommodate CDRW. A spin-off from the development of the CD is the DVD or Digital Versatile Disc. This is very similar to the CD but, at present, is generally used for the storage of feature films. A conventional CD is capable of storing 650 Mb of information whereas the DVD can hold approximately 2.5 Gb (5 Gb if of dual layer construction) and more powerful information compression. The DVD gradually gained popularity and eventually replaced the VHS videotape format in the same way that the CD did for the Compact Cassette. Denon pioneered music DVD's and the medium soon became a viable alternative to storage of computer programs. A form of recordable DVD has been available for a while in the guise of the "DVD RAM", a type of computer memory storage device capable of storing 5.2 GB. It could replace the conventional hard-drive in a computer if sufficiently developed. However, domestic recordable DVD's in the form of the "DVD RW" are also available and has sounded the death knell for the videocassette in the domestic environment. The DVD eventually evolved into the Blueray disc which offers a higher resolution than the DVD as well as a greater amount of storage space. There have been a few digital tape formats over the years such as the previously mentioned Denon reel to reel format. 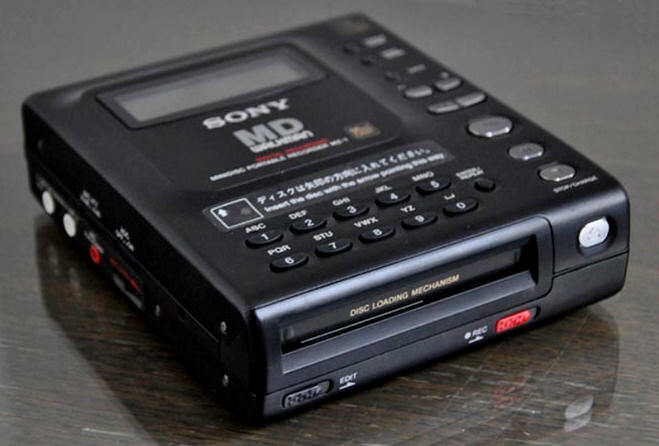 Others included the "DCC" (Digital Compact Cassette), which was backwards compatible with the Compact Cassette, used the same encoding technology as that used in CDs but also died a natural death. A late comer to the domestic recording medium was the Sony "Minidisk". Minidisk used a small CD type disc housed in a package similar to a computer floppy disc. Its near-CD quality and ease of editing has made it reasonably popular but the advent of recordable CD's and MP3 players it is also destined for the obsolete drawer. None of these formats have approached the popularity of the Compact Cassette and have either fallen by the wayside or remain in the domain of the professional recorder. Most of these formats are now obsolete due to the introduction in 1993 of MP3. This is a digital recording format that compressed the original recording using various codices to a small file size which made it suitable for the limited storage media of the time. Since then it has become an almost universal format for music and other recordings that is eminently suitable distributing via the Internet to be reproduced by small media players the first of which was the AT&T FlashPac Digital Audio Player which went on the market in 1996. Since then there have been many thousands of designs but none of them have possessed the popularity of the iPod launched by the Apple Corporation in 2001. The name "iPod" was proposed by Vinnie Chieco and makes reference to the phrase "Open the pod bay doors Hal" from the science fiction film "2001 a Space Odyssey". 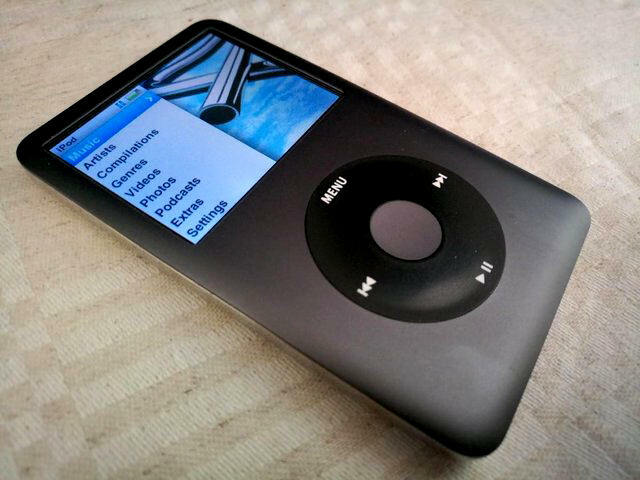 The iPod does not use a standard MP3 format but a modification of it called AAC/M4A although it is capable of reproducing standard MP3 and other file formats. Over the years many versions of the iPod have been produced and they have been developed to include bigger memories, colour displays and the ability to play back films. Their popularity in latter years has dropped due to the Apple iPhone being able to accomplish everything that the iPod can and more. Purists were disenchanted with the MP3 and AAC/M4P formats so there was a need for a higher quality, "lossless" (where the recording is not compressed) to satisfy their needs. Enter FLAC (Free Lossless Audio Codec). FLAC is a recording and reproduction format that does not suffer from the loss of quality inherent in the MP3 or ACC/M4P formats. Many manufacturers produce equipment capable of reproducing FLAC files and are usually incorporated into Internet Radio and other media players. The BBC have recently transmitted their Promenade Concerts in FLAC which has proved, not only to be successful but popular with audiophiles as well. Stereophonic sound has been with us since the 1930's and it presents a representation of the original "sound stage" of the recording. That is, if one is listening to a symphony orchestra, various instruments are placed in a particular position. The idea of stereophonic sound is to reproduce that placement faithfully. In certain circumstances there is a need for reproducing the ambient sound from behind the listener such as reverberations created by the listening environment. 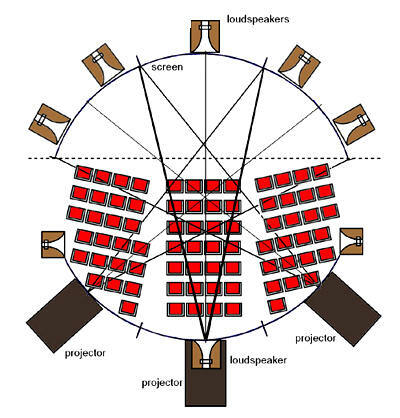 This was initially evident in movie theatres when action on the screen went behind the viewer and added to the realism. It was an integral part of the Cinerama experience where three projectors were used to project an ultra-wide image onto a deeply curved screen with a fourth machine reproducing the discrete soundtrack to loudspeakers located around the auditorium. As the public became more accustomed to this surround sound the next logical step was to incorporate it into domestic music reproduction. There were early experiments utilised four discrete channels of sound with a loudspeaker in each corner of the listening area. This was termed "Quadraphonic Sound" due to there being four sound sources. 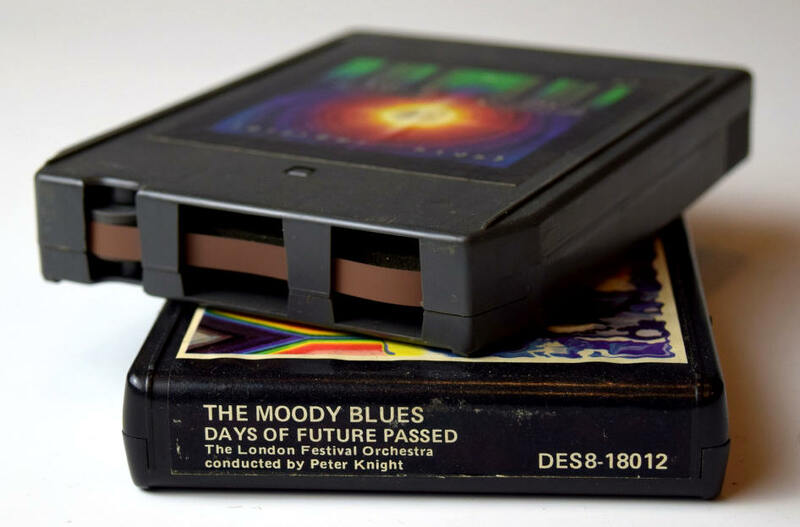 The early examples used reel to reel tape recorders and to a lesser degree the now obsolete Quadraphonic Eight Track Cartridges once popular in motor vehicles. The first domestic examples were the SQ, QS, CD4 and UD4 systems of the early 1970's. These systems were used to encode four channels of sound onto vinyl LPs and required high quality turntables and dedicated decoder/amplifiers to reproduce the sound. Needless to say, these systems were quite expensive and required encoded discs to reproduce 360° of sound faithfully. But there was an alternative. All recordings contain an "out of phase" content usually when the microphone(s) have captured a reverberation or echo of the recording environment.  This information is 180° out of phase from the main body of the recorded information. All that was required was a means of extracting this out of phase information. Enter David Hafler. David Hafler was an audio engineer who discovered a way of reproducing this out of phase information without the need for expensive encoding and decoding equipment. All that was required was an additional pair of speakers connected via a simple circuit to the original left and right loudspeakers. The system worked reasonably well and could be used with any stereo sound source whether it be vinyl, cassette, reel to reel or FM stereo. many manufacturers incorporated Hafler circuits into their amplifiers and add-on decoders such as the NEAL Resolver were also available. The circuits were also incorporated into many car stereo and even today many manufacturers still in use this deceptively simple process. Another relatively simple surround sound process is Binaural or Dummy Head Stereo. This process reproduced the way the human ear hears sounds and places them as to where they came from. This is achieved by a pair of microphones placed inside a mannequin's head to mimic the physiology of the human ears. The microphones can also be placed facing towards each other but acoustically isolated from each other by a circular baffle approximately ten inches in diameter. The theory is that a sound coming from say the left reaches the left microphone a fraction of a second before the right one and the phase of the sound is also reversed. This how humans detect where a sound comes from and it is relatively easy to reproduce this effect. The only problem is for the system to work accurately, the sound has to be listened to by wearing headphones. There have been a few vinyl recordings made using binaural and in the 1970's Hi-Fi Weekly magazine gave a demonstration disc away free with one of its editions. 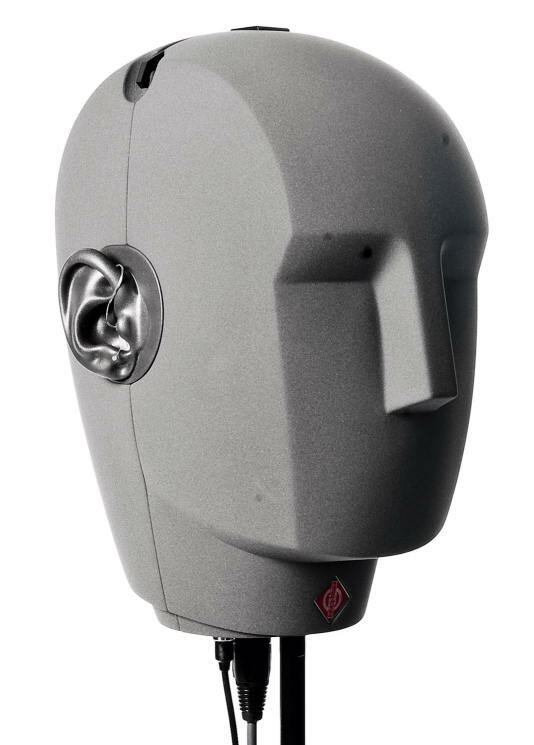 The BBC have transmitted a series of plays using binaural and occasionally still transmit programmes using this system. 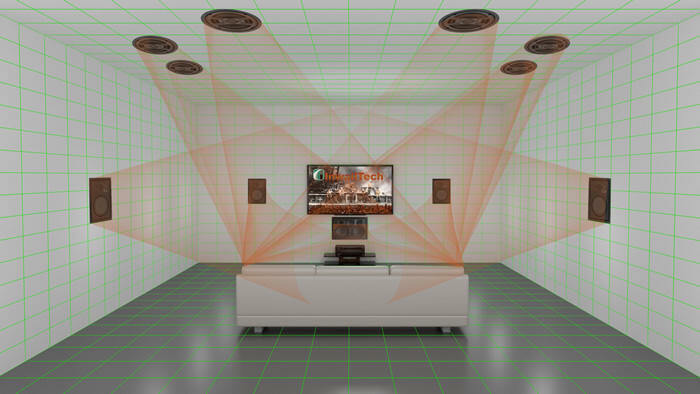 The process is also used in determining the audio placement in Imax presentations. JVC produced a dummy head stereo microphone and a binaural decoder that fed a quadraphonic amplifier. Due to the large amount of out-of-phase information contained within a binaural recording, amplifiers possessing Hafler circuitry also reproduce an accurate representation of binaural recordings. The more recent advances in surround sound have been made by Dolby Laboratories where encoded digital motion picture soundtracks can be reproduced in theatres (or at home) provided that the necessary equipment is correctly set-up and used. Dolby Laboratories first venture into surround sound was Dolby Surround as used for the 1992 motion picture film Batman Returns. 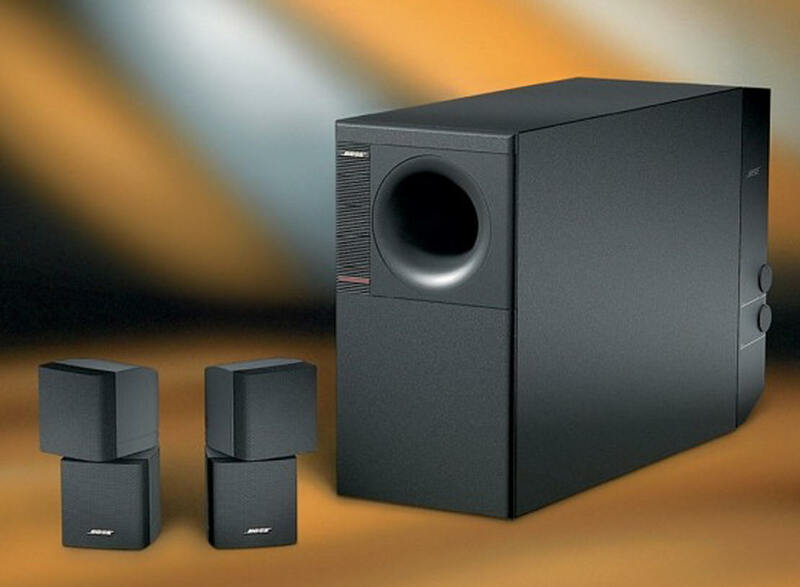 Since then there have been many versions of the system using various loudspeaker and sub-woofer configurations and their latest offering is Dolby Atmos which also features downward facing loudspeakers. Almost all of their surround sound processes have been "domesticated" for home use provided that you have the space and finances to accommodate them. In recent years there has been a tendency for audio (and still/motion picture files) to be accessed and downloaded via the Internet from various sites such as iTunes, Amazon Music, etc. This is a move away from the listener having their own library of tapes, discs or MP3/AAC/FLAC files. With the advent of fibre optic connections, faster broadband speeds and a greater range of equipment capable of Internet access, the future of music reproduction will most probably lie in this direction. But as to what format will become dominant in this area is anybody's guess as new and improved file formats are developed. One thing is assured, and that is the need for high quality decoding, amplification and reproduction will always remain. Bearing that in mind we will just have to wait and see (or hear) what the future has in store for music lovers. I hope that you have enjoyed reading about my take on the history of sound reproduction and Hi-Fi sound and that it has brought back memories of how we used to listen to music in days gone by. There will always be the die-hard purists that say for example... "vinyl is best" but if the specifications of various pieces of equipment are studied it becomes plainly obvious that the digital revolution has made a big impact of the quality of the music that we listen to. At the end of the day... if you are happy with how a particular recording sounds, who am I to say that one piece of equipment or format is superior to another. It is subjective and down to the individual's taste or how their ears perceive the resulting sounds. If everyone liked the sound of a particular piece of equipment be it a signal source, amplifier or loudspeaker there would not be the plethora of formats or equipment on the market that there is today and everyone would have the same make and model. A prime example is that some loudspeakers are best suited to classical music, whilst others reproduce live or electronic music better so, as I said previously, it is subjective and down to the individual's taste. In other words... what ever floats your boat!